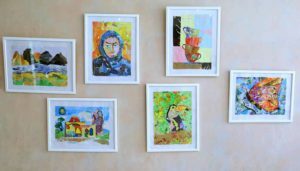 In the beginning of the eighties, Nazik al-Malai’ka fell silent: “I fell silent because my soul could no longer express herself...” Since that time, she started inviting her friends, the poets and writers from all over the world for tea, talking to them – but this happened only in her imagination. Come, Meet and Ask Marcelo! In collaboration with Heliopolis University Students Union, Prof. Dr. Marcelo da Veiga will meet the university students and have a discussion about required skills for the 21st century learners and the expectations for university. Prof. Dr. Marcelo da Veiga is a Professor of Philosophy and Social Innovation and the Director of the Institute for Philosophy and Aesthetics. He was the Founding President of Alanus University of Arts and Social Sciences (2002-2017). Da Veiga acquired a certification in “Leadership from the Emerging Future” by Presencing Institute of MIT in 2017 and attended the Advanced Management Program by Ashridge Business School in 2012. His areas of expertise include social entrepreneurship and philosophy of social innovation, ethics of business, social impact of digitization, block-chain technology, and management in higher education. In addition to being a member of the supervisory board of Heliopolis University for Sustainable Development, he is member of the board of VPH- Germany. As we listen to her fairy tales, Masha Dimitri will perform one of the most fascinating and even breakneck acrobatic shows "Le Fil Rouge" (The Red Thread). The Swiss artist will capture our hearts by her magical balance on the slack wire and inspire us that we can always keep a balanced and therefore a creative life. Born in 1964, Masha Dimitri started her professional artistic education at the age of 15 at the National Circus School in Budapest, with the slack wire as her area of specialization. After two years, she transferred to the Scuola Teatro Dimitri where she studied theatre and continued her training on the slack wire under the guidance of Szilard Székely. The show will be at Ibrahim Abouleish Theater, Space of Culture at Heliopolis University on March 21, 2018 at 1:00 pm. The Space of Culture at Heliopolis University in collaboration with the Center for Arab West Understanding (CAWU) are hosting HE Ambassador Amr Moussa, the former Secretary General of the League of Arab States (LAS) and HE Ambassador Mona Omar, the former General Secretary of the National Council for Women to discuss how internships and academic publishing contribute to the future of sustainable development in Egypt. Internships and Academic Publishing is a unique program of the Centre of Arab West Understanding and will be presented by Drs. Cornelis Hulsman, the Academic Supervisor for CAWU Internship Program. It is an excellent example of how intercultural engagement can make a valuable contribution to the success of a sustainable future for Egypt. There will also be an opportunity to learn more about CAWU and discuss with students the advantages and options for internships. 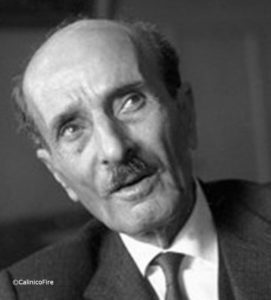 Mikha’il Na'ima (1889-1988 Lebanon) was a poet, novelist, and philosopher. He is also called a spiritual writer because of his remarkable writings about death. He had a unique humanitarian approach. Na’ima is considered as one of the most influential figures in the modern Arabic literature. He wrote 99 books including drama, essays, poetry, criticism, short stories, and biographies. Among his best known books is the “Book of Mirdad“, a mystical text first published in Lebanon in 1948. Besides, he co-founded, along with Khalil Gibran and others, the New York literary society known as the Pen League. Together with Heliopolis University students, Dr. Zahy Hawass will disclose many of the secrets of the pyramids and the ancient Egyptians life. He will also talk about the most recent archaeological discoveries in Egypt. 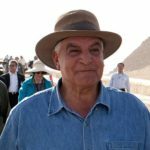 Dr. Hawass is an Egyptian archaeologist, an Egyptologist, and former Minister of State for Antiquities Affairs. He has also worked at archaeological sites in the Nile Delta, the Western Desert, and the Upper Nile Valley. 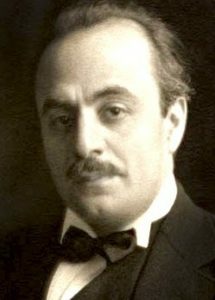 As a young man, Gibran Khalil Gibran (1883 Lebanon–1931 New York) emigrated with his family to the United States, where he studied art and began his literary career, writing in both English and Arabic. In the Arab world, Gibran is regarded as a literary and political rebel. His romantic style was at the heart of a renaissance in modern Arabic literature, especially prose poetry, breaking away from the classical school. In Lebanon, he is still celebrated as a literary hero. Chiefly known was his 1923 book “The Prophet”, an early example of inspirational fiction including a series of philosophical essays written in poetic English prose. The play is telling about Gibran’s life, his art of painting, talent and close friends Mi’khail Na'ima and Elia Abu Madi; two important poets as well whom he met in New York. Moreover, the play gives us an insight in the yearlong relationship with May Ziade, also a writer and poet. This relationship was based on correspondence only. The lovers never met but they were deeply inspired by each other. 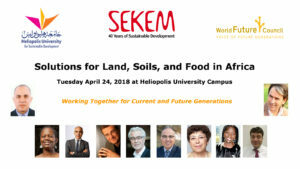 In cooperation with SEKEM Initiative, Heliopolis University for Sustainable Development and the World Future Council will hold a conference entitled “Solutions for Land, Soils and Food in Africa” at the university campus. The conference will shed light on the world champions in combatting desertification and enhancing food security and sustainable land management in Africa. Alexandra Wandel, Director of the World Future Council Foundation which convened the Future Policy Award 2017 for combating desertification. This event aims to raise awareness about exemplary policies and initiatives that are engaged to support sustainable development of lands, soils, and food production in Africa and create synergies between policymakers of international organizations (for instance the UN Convention to Combat Desertification, International Fund for Agricultural Development or the World Future Council) and national stakeholders (ministries, members of parliament, civil society, academia, and media). Thereby, it shall contribute to the protection of life and livelihoods in drylands and help achieve Sustainable Development Goal 15 “Life on Land”. The poet and novelist Samir Darwish meets Heliopolis University students in a dialogue about poetry and music. 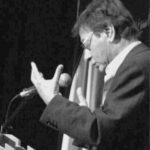 Darwish believes that poetry is a form of musical composition. The modern poet makes a harmony between letters, words, sentences, and passages unlike the classical poet who relied on traditional rhyme. 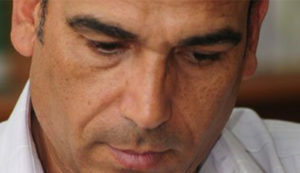 Samir Darwish is one of the prominent poetical faces of the 1980s. He has 15 collections of poems. The first of which was "Kutofoha and Sioufi" (1991) and the last one is "Mirrors of New York". He also published two novels and a book on political thought. Locked in a Story, A Musical based on "Matilda"
Locked in a story is based on the musical play “Matilda” that was originally a book by the British writer Roald Dahl. The play depicts the life of Matilda who is locked in an unhealthy environment; a dysfunctional family and a ghastly oppressive school. Can she free herself from all these chains and go into the wide open space? 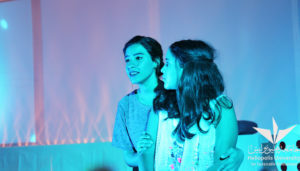 The cast of the play is a combination of Heliopolis University students and staff members, visiting volunteering professional actors, and children of “Young Scholars of Egypt”. The play is Egyptianized and directed by Effat Yehia. The play is produced by Heliopolis University and sponsored by Young Scholars and The Caravan Independent Theater group. The Centre for Arab-West Understanding (CAWU), Sekem Development Foundation (SDF) and Heliopolis University (HU) are organizing an intercultural and international summer school to foster cultural understanding and international friendship, thus promoting peace and sustainable development. 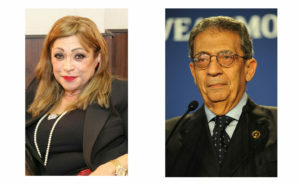 Lecturers will include a Member of the European Parliament, senior Dutch and Egyptian lecturers. Excursions will include visits to locations in Egypt where intercultural dialogue is practiced. The summer school will be completed with a certificate of participation. If you are an open-minded student or young person interested to engage in interreligious and international exchange, you can apply until June 10 to the CAWU or HU (link to the application form see below). In the application, please state your motivation and why you think you are suited to participate. A short CV can be helpful to demonstrate this. The Summer-School itself, and accommodation at the Heliopolis Student Hostel is sponsored by SGP. However, we ask for a small contribution towards these costs. Furthermore, you have to pay for travel to and from Cairo, cost for visa and insurance as well as entrance fees for museums and sites (like the Pyramids). The contribution for the summer school is of LE 500,- for students enrolled in a Egyptian university (and residents of any transition state) and € 100 - for students enrolled in a university outside Egypt, and/or resident in Europe, North America, Asia or any other part of the world. If you can’t afford these fees you can explain this in the application and ask for a scholarship (see application form). Heliopolis University Alumni Association in cooperation with the Egyptian Pharmaceutical Students’ Federation – Heliopolis and the University Library is organizing a book fair on the sidelines of the alumni workshop. 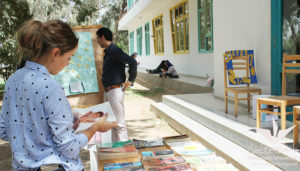 The invitation is open for all to participate in the fair or donate books. Unsold books will be on sale in SEKEM outlet and its returns will be allocated for charitable activities. Heliopolis University Alumni Association in cooperation with the HU Alumni Unit, Research Center, and Job Land organizes HU Alumni Workshop. The workshop will include sessions about professional CV writing, business interviews, entrepreneurship, and freelancing. 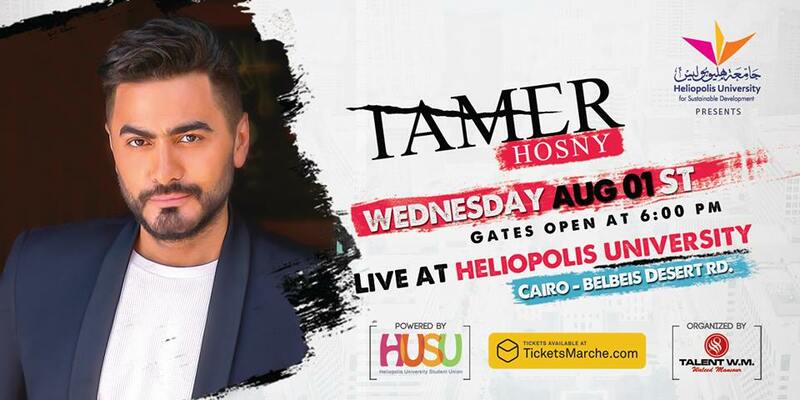 The Egyptian singer, actor, composer, director, and songwriter Tamer Hosny will be performing live at Heliopolis University campus on August 1, 2018. Join us and enjoy Tamer Hosny's new album! Get your ticket now for 250 LE through TicketsMarche! The concert is organized by Heliopolis University Student Union. Heliopolis University Alumni Unit and Alumni Association organize a workshop about local and international postgraduate studies. Speakers will discuss post graduate application processes, opportunities, and challenges. 10:00 - 11:00: Applying to Foreign Universities, by Yassin Elsherief. 11:00 -12.30: Studying in Germany, Challenges and opportunities, by Mohamed Anwar and Omar Eldahan. 1:00 -1:45: Postgraduate Studies in Business - Helwan University, by Omnia Khalid. 1:45- 2:30: Master of Engineering - Ain Shams University, by Mohamed Reda. 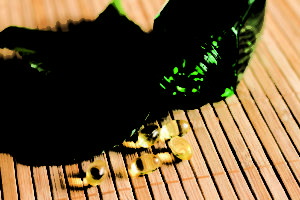 2:30 - 3:15: Postgraduate Studies in Pharmacy, Personal Experience, by Hala Helal. 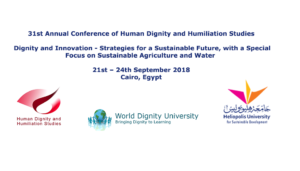 In collaboration with the Human Dignity and Humiliation Studies (HumanDHS) and its World Dignity University initiative, Heliopolis University for Sustainable Development is pleased to host the 31st Annual Conference of Human Dignity and Humiliation Studies from 21st – 24th September 2018. This year the conference will be held under the title “Dignity and Innovation - Strategies for a Sustainable Future, with a Special Focus on Sustainable Agriculture and Water.” The conference aims at encouraging collaboration, sharing achievements, and exchanging views on challenges to promoting dignity. The conference’s main goal is to cultivate a unique learning environment, enriched by the diverse experiences, perspectives, and backgrounds of all participants. That is why the conference has been convened in many notable locations around the world since 2003, including in Europe (Paris, Berlin, Oslo, and Dubrovnik), Costa Rica, China, India, Hawai'i, Turkey, New Zealand, South Africa, Rwanda, Chiang Mai in Northern Thailand. 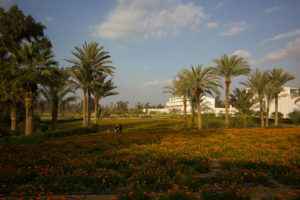 Location: Ecovillage, Belbeis, Ard El-Katiba, Galvina - SEKEM, El Sharkia (1 hour from Cairo airport). Participants will be joined together as a collaborative community to explore the urgent need for dignity and innovation for a sustainable future with respect to agriculture and water. 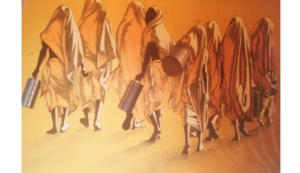 Human Dignity and Humiliation Studies is a diverse transdisciplinary network of scholars, researchers, educators, practitioners, creative artists, and others, all devoted to building human dignity, locally and globally. It currently consists of around 1,000 personally invited members from all continents, with more than 7,000 friends. All efforts are a collaborative labor of love and maintained entirely by volunteers who give their time and energy as a gift. In 2011, HumanDHS launched the World Dignity University initiative. It is an invitation to all educators and learners who are interested in dignity to contribute with their gifts. With great pride, we are sending our sustainable development champions into a brighter future. Heliopolis University for Sustainable Development is honored to invite you to attend Class of 2018 Graduation Ceremony on Wednesday, September 26, 2018 in Ibrahim Abouleish Theater at the university campus at 5:30 pm. Beside lots of entertainment, you will find “Locked in a Story” highlights one of our most important issues: education systems. Ms. Trunchat, the Headmistress in the play, is focused on rigidity and discipline. Her world is sorted into winners and losers and if you follow the rules everything is perfect. We are stressing our children with such old fashioned beliefs which are simply destructive. 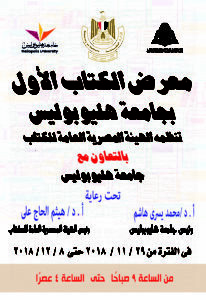 Heliopolis University is totally in accordance with the movement of renewing education in Egypt. “The next year is devoted to education,“ says our Minister of Education. Come and enjoy. We will let you inspire for a new education system. 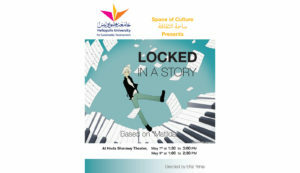 “Locked in a Story“ is a musical based on "Matilda" that was originally a book by the British writer Roald Dahl and directed by Effat Yehia. and researchers will participate in the conference to share interesting experiences and developments about Photovoltaic (PV) projects in Egypt. They will also discuss the potential role of photovoltaic in Egypt and future challenges and chances. Since the Photovoltaic sector in Egypt faced a turbulent time in the previous years, participants will discuss innovative strategies for the photovoltaic market in Egypt with an expert delegation from Egypt and Austria. PV Applications at the Campus. A Holistic Energy Transition at the University. PV Pumping Technologies, Physical Background and Current Research Outputs. Shaping Photovoltaic Technicians of Tomorrow. PV in the Dual Education System. BIPV (Building Integrated PhotoVoltaic), Austrian Technology for Modern Buildings. Panel discussion: Sustainability of PV Applications. 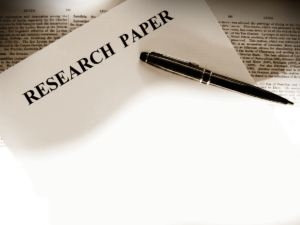 Lessons Learned, Open Research Questions. 13:00 – 14:45 Session 2: General Framework and Policies for PV Projects in Egypt, Strategies for the Future. Panel Discussion: Framework and Policies for PV in Egypt. Strategies for the Future. The conference is open for public. For registration, please contact Michael Puttinger or Naglaa Ahmed. The Core Program is pleased to invite you to attend the opening of its art exhibition "Impressive," at which you will see how Heliopolis University students could create extraordinary paintings inspired by contemporary Egyptian artists. Heliopolis University Alumni Unit in cooperation with the Faculty of Pharmacy and Drug Technology is pleased to announce October Workshop under the title "How to Write a Research Article?" by Dr. Ahmed Taha, Lecturer of Chemistry at the Faculty of Pharmacy and Drug Technology, Heliopolis University. LOYAC is a non-profit organization working towards empowering youth in the Arab region through providing them with local and international opportunities that enhance their professional development and personal growth. LOYAC was founded in Kuwait in 2002 and has expanded its operations in Lebanon, Jordan, Yemen, and most recently in Egypt. Our programs are free of charge for students aged from 16 to 23. Space of Culture is pleased to invite to enjoy the oriental music and melodies with Elharamlek Band. 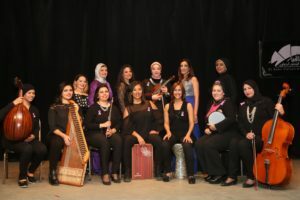 Elharamlek Band is one of the leading emerging bands in Egypt and the Middle East, with its unique composition of a highly talented all females musicians and singers. 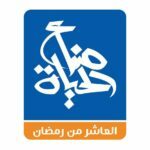 It was established by Dr. Marwa Abdel Momeim in 2017. Elharamlek participated, with great success, in several concerts in Beit el Seheimy (whereby the band was initially, publicly, and successfully introduced) followed by several concerts in Saqiet el Sawy, Baheia Hospital, Chidren Cancer Hospital 57357, and several clubs in Egypt. During the event, some HU students will share their experience with international internships. Come to listen to their educational adventure stories. Heliopolis University Alumni Unit in cooperation with the Core Program is pleased to organize an "IELTS Orientation Session." 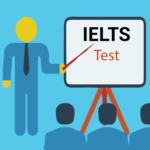 IELTS stands for the International English Language Testing System, which is an international standardized test of English language proficiency for non-native English language speakers. The session will be presented by Eman Gamal, an EFL Instructor (Teacher of English as a Foreign Language) at HU English Department. 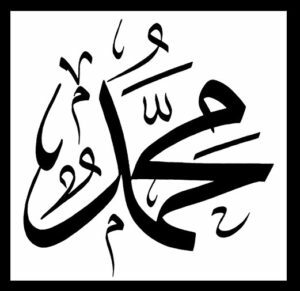 In memory of Prophet Muahmmad’s birth, we will listen to Al-Boseiri and Ahmed Shawki’s verses praising Prophet Muhammad. Why will Egypt get rid of rice cultivation? .. How does the Ministry of Environment seek to reduce air pollution, especially in Cairo? To what extent have we succeeded in recycling waste? Young people have many questions that revolve around current critical environmental issues. Therefore, we are pleased to invite you to attend an open discussion under the title "Get your Questions Answered by Environmental Experts!" The main topics will be about the efforts of the Ministry of Environment related to how to confront acute air pollution within the framework of sustainable development, national water security and its correlation with the rationing of rice cultivation, and the cooperation protocol between the Ministries of Environment and Agriculture towards an optimized reuse of agricultural residues. Also, the experts will present a short briefing of the discussions that took place in the UN Biodiversity Conference (COP14) that was held in Sharm El Sheikh this month. The experts who will join the discussions are Ms. Azza Hussein Hamdy, Director of the NGO Unit, Greater Cairo Branch and Ministry of Environment and Eng. Abdel Latif Khaled, Head of Irrigation Sector, Ministry of Water Resources and Irrigation. Heliopolis University Alumni Unit is pleased to invite you to "Universities' Eminent Role to Establish Environmental Concepts" workshop. 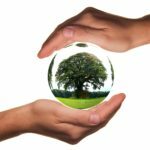 Two crucial environmental issues will be discussed in the workshop that are: the role of universities in establishing environmental concepts and the carbon and water footprints. The workshop will be presented by Dr. Jihan William, Clean Energy Manager and Eng. Ahmed Mostafa, Sustainable Energy General Manger at the Egyptian Ministry of Environment. In cooperation with the General Egyptian Book Organization (GEBO), Heliopolis University for Sustainable Development organizes the First Book Fair starting Thursday, November 29 for ten days until December 9 from 9 am to 4 pm. The exhibition includes the latest literary works issued by the organization in addition to specialized scientific references in Arabic and English in pharmacy, engineering, medicine, agriculture and business with huge discounts. The fair includes more than 1,500 literary and scientific titles with more than 1,000 copies at discounted prices that may not exceed 10 pounds. Visitors also will receive free invitations to Cairo Annual International Book Fair organized by the Ministry of Culture. The exhibition will be inaugurated by Prof. Mohammed Yousry Hashem, Heliopolis University President together with Prof. Haitham El-Hajj, Chairman of the General Egyptian Book Organization and a number of the organization and Ministry of Culture’s officials. In cooperation with HU Entrepreneurship Center for Social Impact, HU Alumni Unit is pleased to invite you to the Entrepreneurship Workshop that will be facilitated by Dr. Jane Hanna, Acting Director of HU Entrepreneurship Center. Six women from different time eras tell their stories of how they survived their patriarchal societies. "Scream" is a play where fiction and reality overlap. Adapted and partly written by the Director and Playwright Effat Yehia, "Scream" opens a window for the female voices and screams. In cooperation with Sona'a Al-Haya Association at 10th of Ramadan, Heliopolis University Alumni Unit is pleased to hold a workshop about the "Importance of Voluntary Work." The workshop will be presented by Youssef Adel Hamed, Co-Founder of Sona'a Al-Haya Association at 10th of Ramadan and Founder and Chair of the Board of Trustees of Al Masry Be'akhla'ou Foundation. The Journey of the Deep End is the journey into the depth and deep feelings of Mahmud Darwish. Darwish was a Palestinian poet and author who was regarded as the Palestinian national poet. He won numerous awards for his works. Darwish used Palestine as a metaphor for the loss of Eden, birth and resurrection, and the anguish of dispossession and exile. And he was writing about love in it’s different meanings. He has been described as the man of action whose action is poetry. When he was reading poetry, he filled entire football stadiums. The Faculty of Pharmacy and Drug Technology at Heliopolis University is pleased to announce its First Annual Conference on Sustainable Development Implementation in Pharmaceutical Research and Education that will be held in the university campus in Cairo on December 22nd, 2018. The Conference will provide a forum for sharing ideas, presenting research endings, and discussing professional issues relevant to sustainable development in pharmaceutical science. High-profile speakers will join the conference to share most recent updates about sustainable development in many aspects of the pharmaceutical filed including research, education, practice, and legislation. Registration is free and we will announce the procedures together with the agenda very soon.